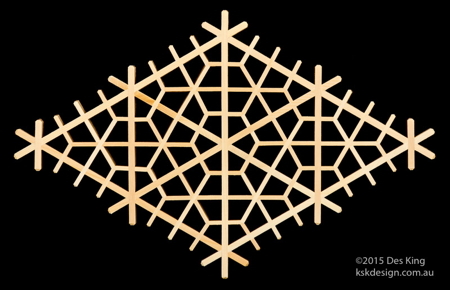 Tawara is the name for the round-shaped straw bag used for carrying rice, grains, and other produce. 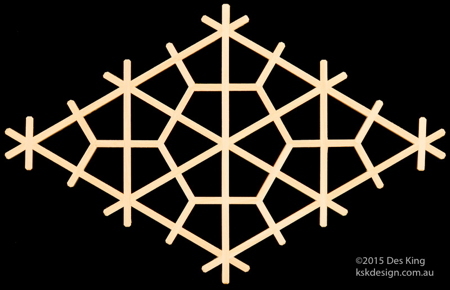 This is the first of the patterns in which the pattern kumiko intersect and form half-lap joints with the jigumi kumiko. 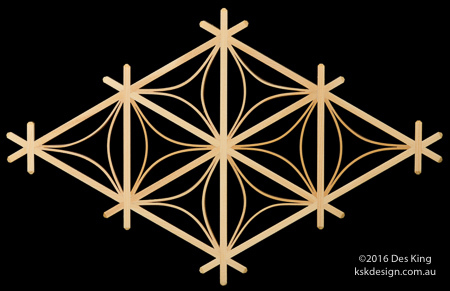 This will be a collection of miscellaneous kikkō patterns that don’t necessarily fall into any other particular grouping. 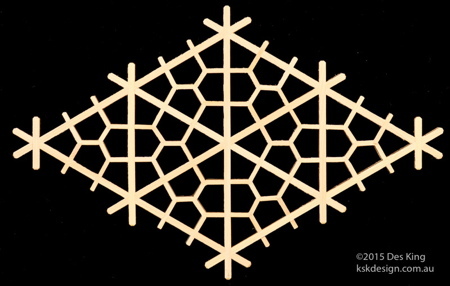 Tsumi-ishi means piled rocks, and in this pattern, the hexagonal shapes look like rocks piled on top of each other.